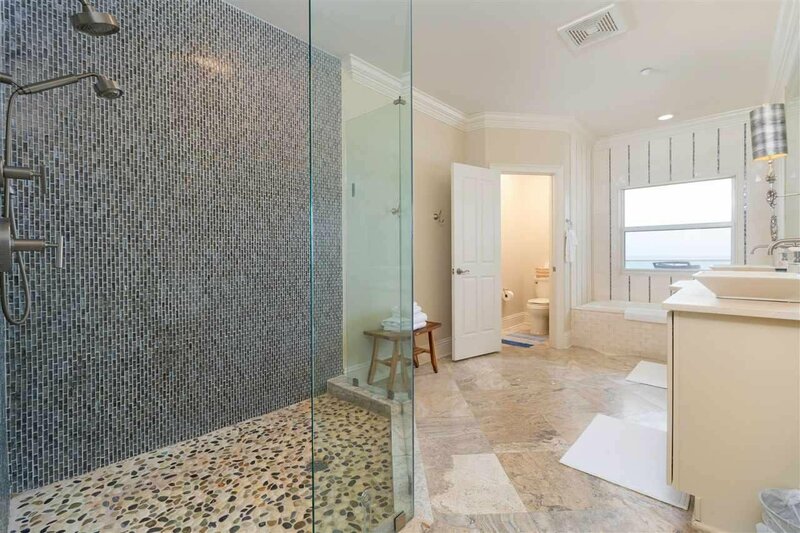 Elegant Gulf front home. 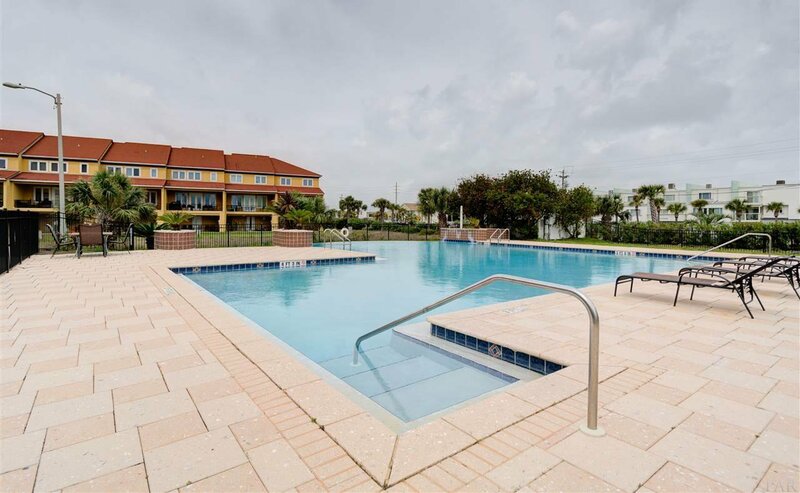 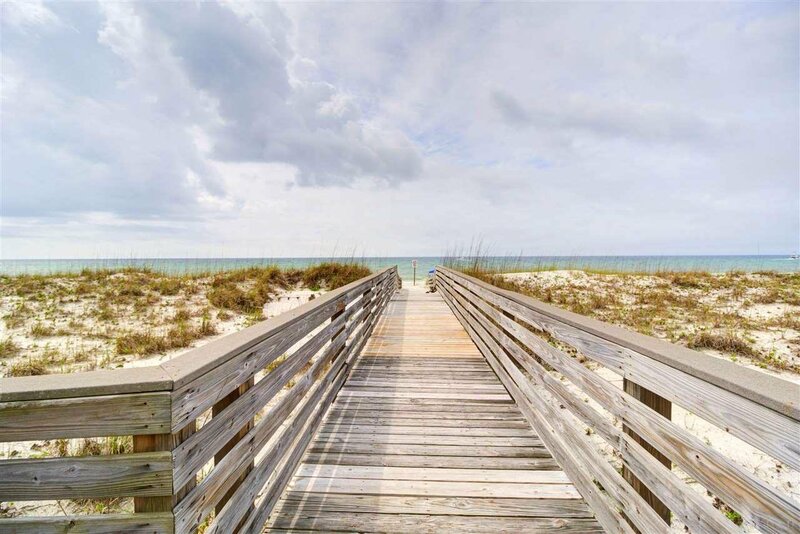 Walk through the sand to the magnificent Gulf waters. 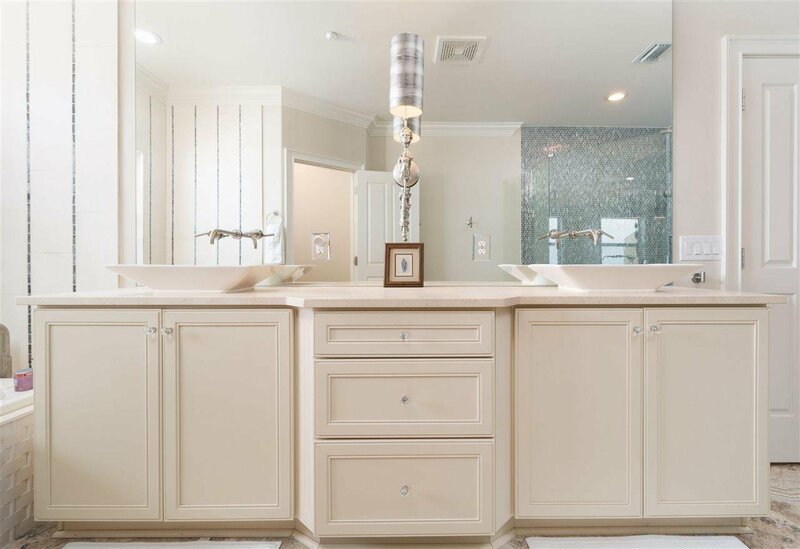 Stunning interior finishes and furniture. 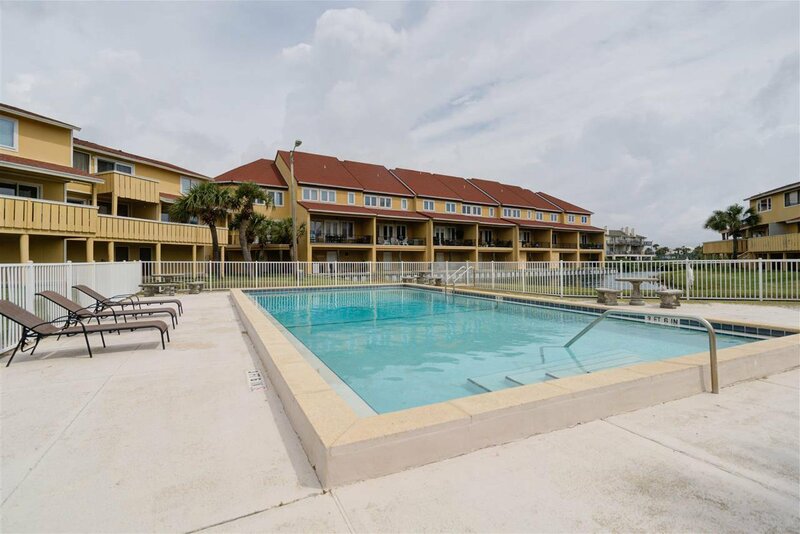 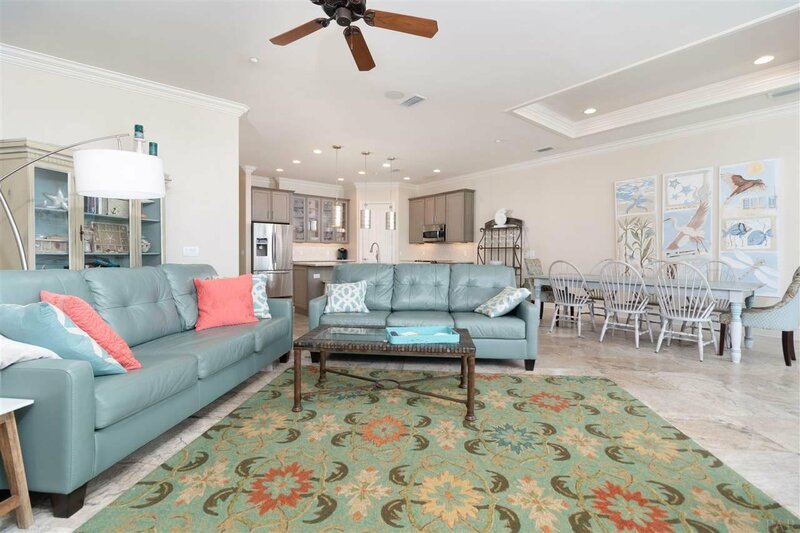 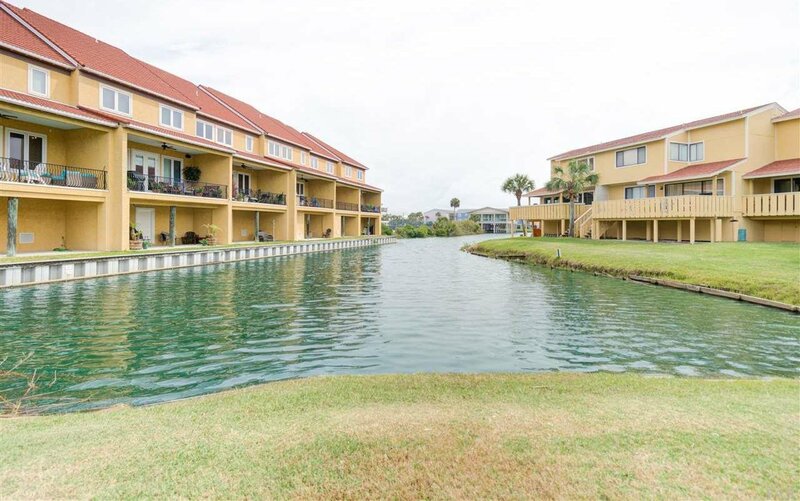 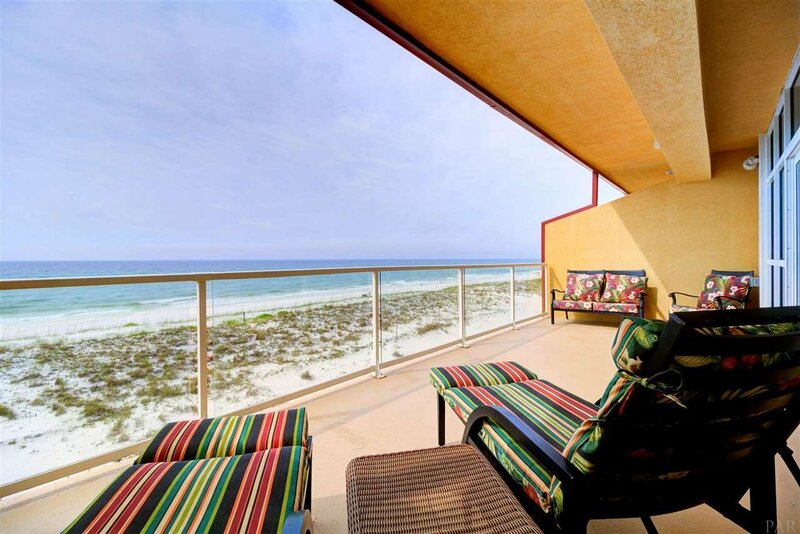 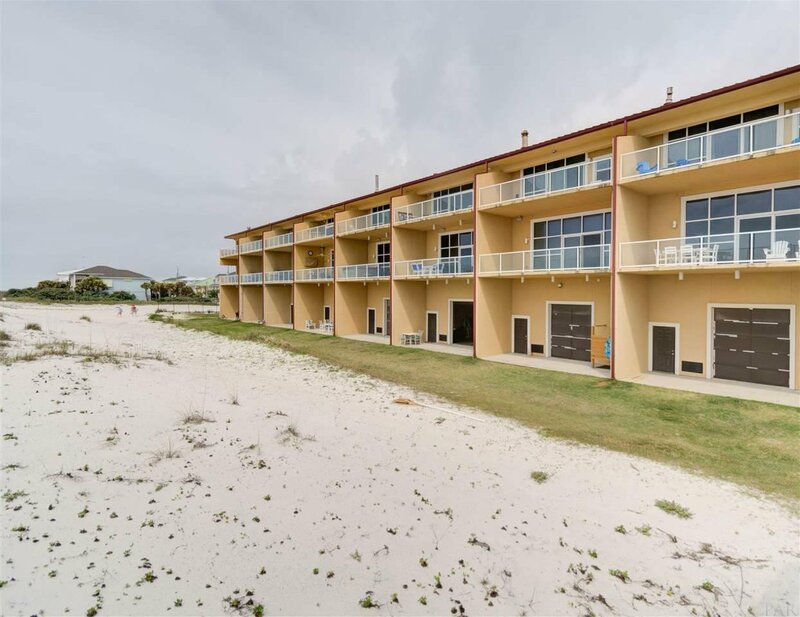 This luxurious Pensacola Beach front home has it all. 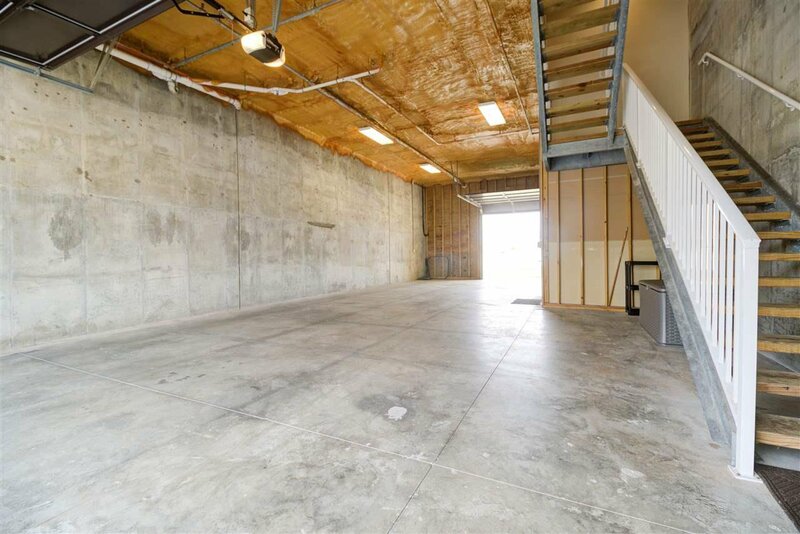 First stop the over-sized garage, you'll notice the concrete pilings and 17 foot ceilings, this home is meant to last. 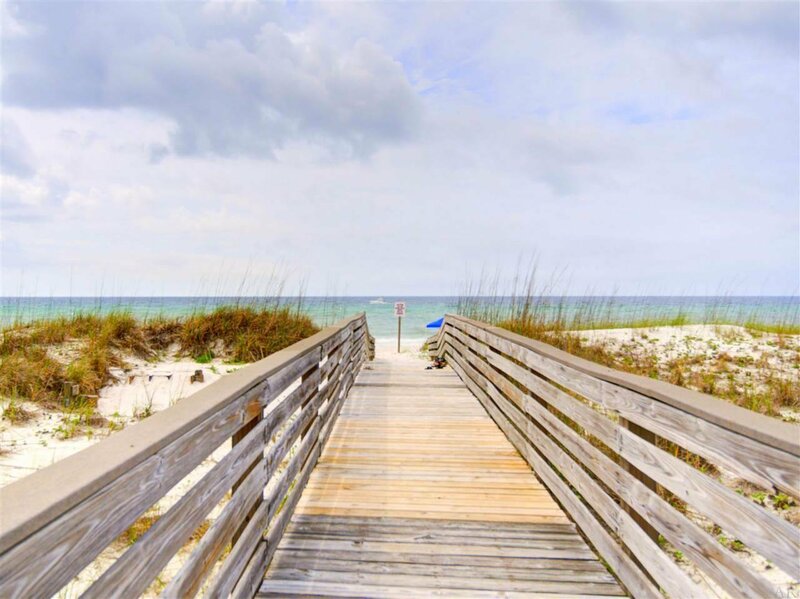 Step into the elevator and up you go. 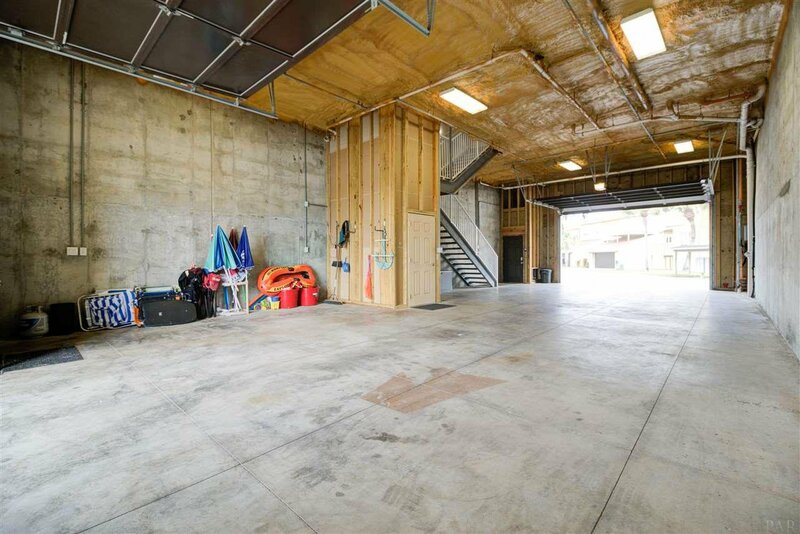 Yes, the first living space is 17 feet above sand level. 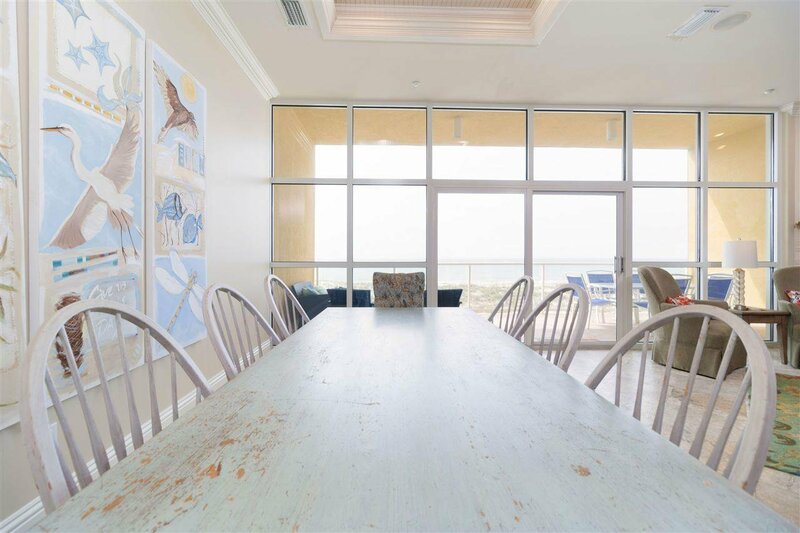 The great room with fireplace, dining room and kitchen all boast views of the blue green Gulf waters. 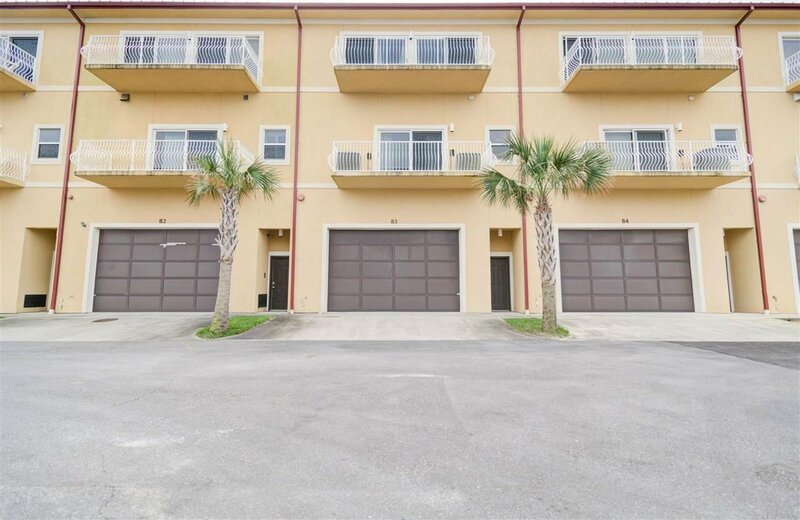 Massive hurricane rated sliding doors open to a huge covered balcony. 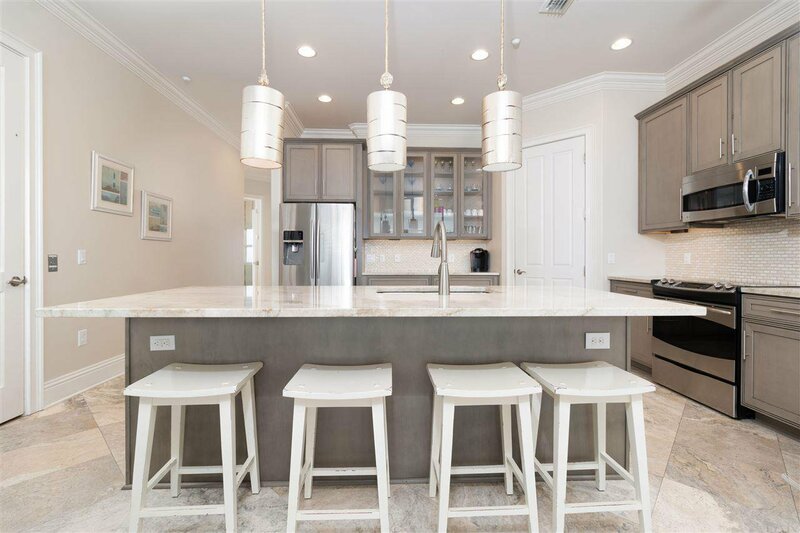 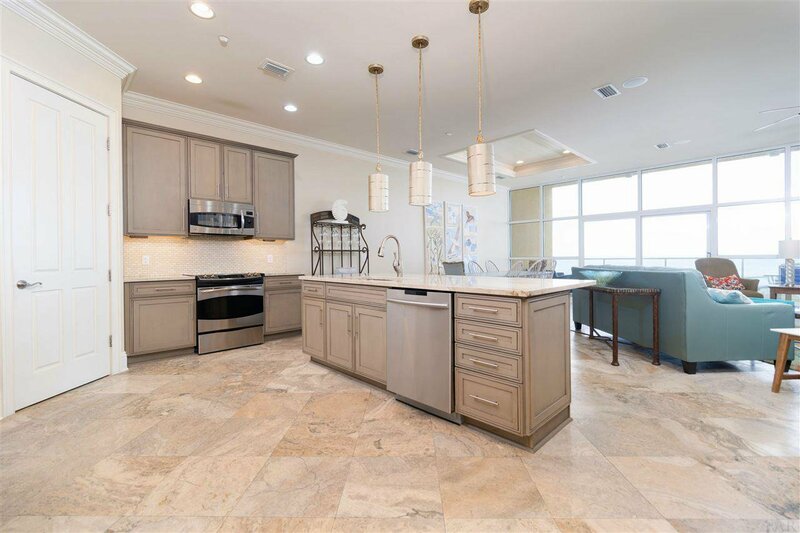 The space has travertine floors, extra wide crown molding and baseboards, high end lighting fixtures plus recessed lighting. 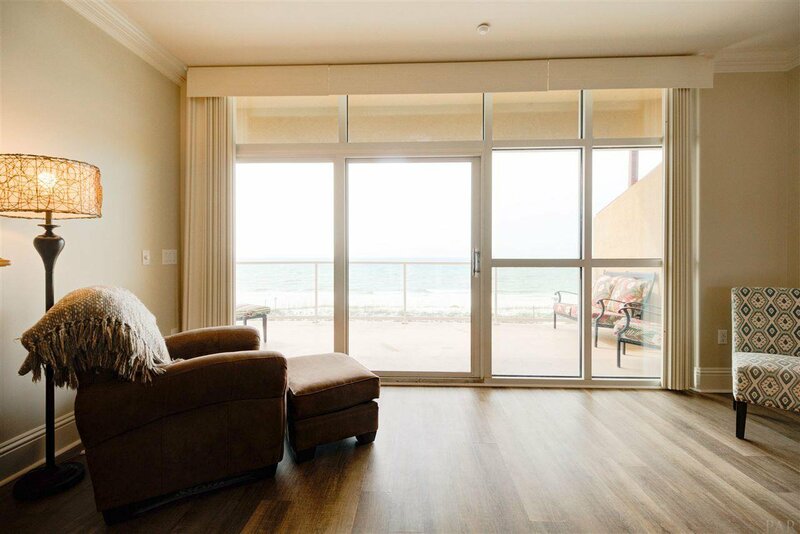 Not one luxury has been over looked. 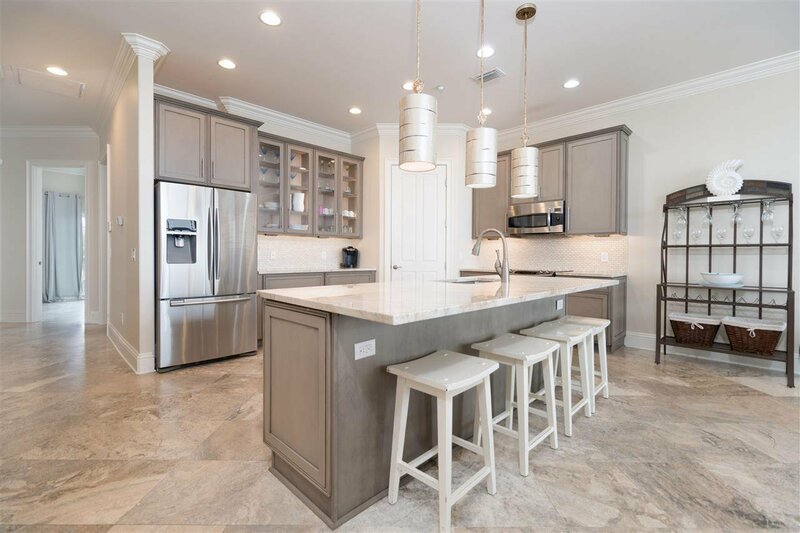 Stainless steel appliances, spectacular quartz counter tops, huge island, walk in pantry, high end cabinets all fill out your kitchen. 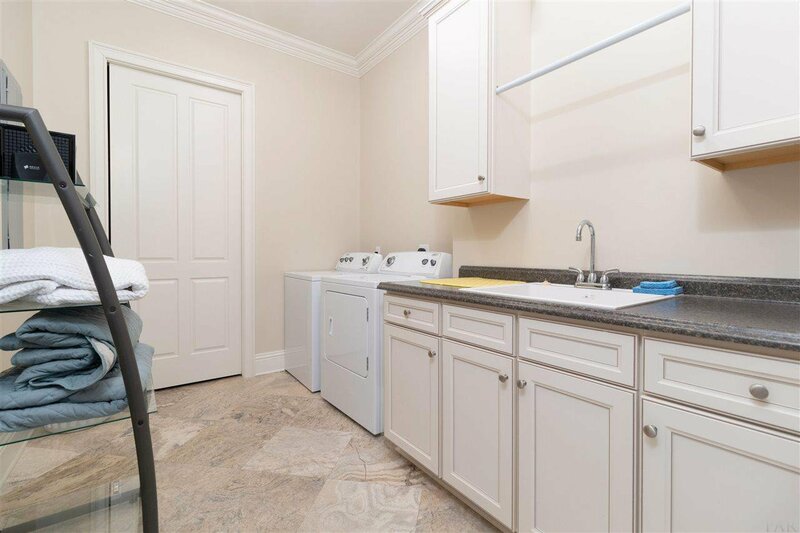 On this living level you'll also find a giant laundry room and an additional bedroom with balcony and superbly finished bathroom. 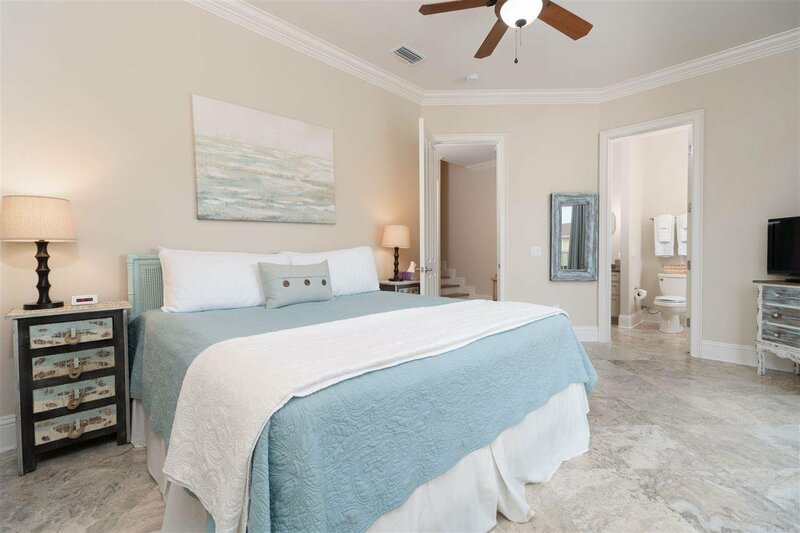 Upstairs is the magnificent master suite. 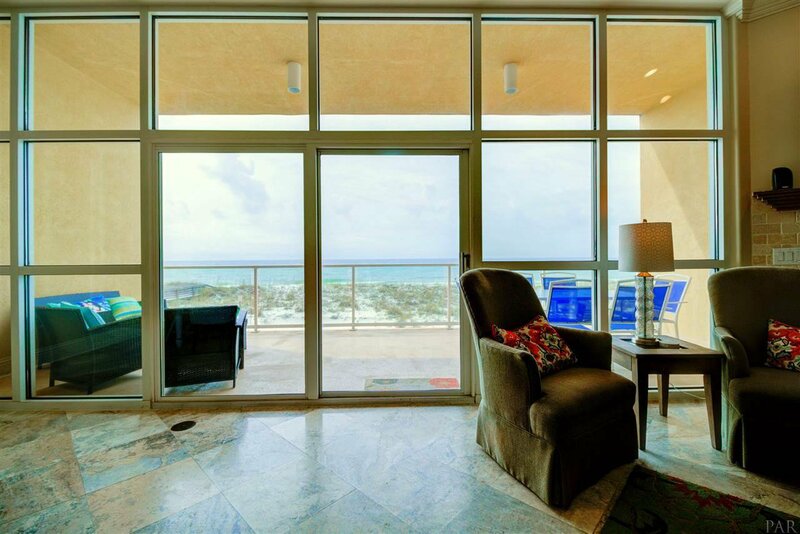 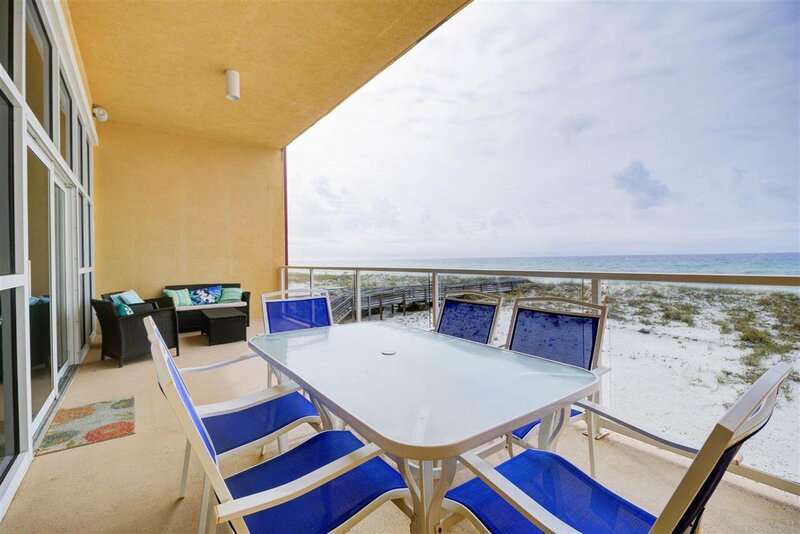 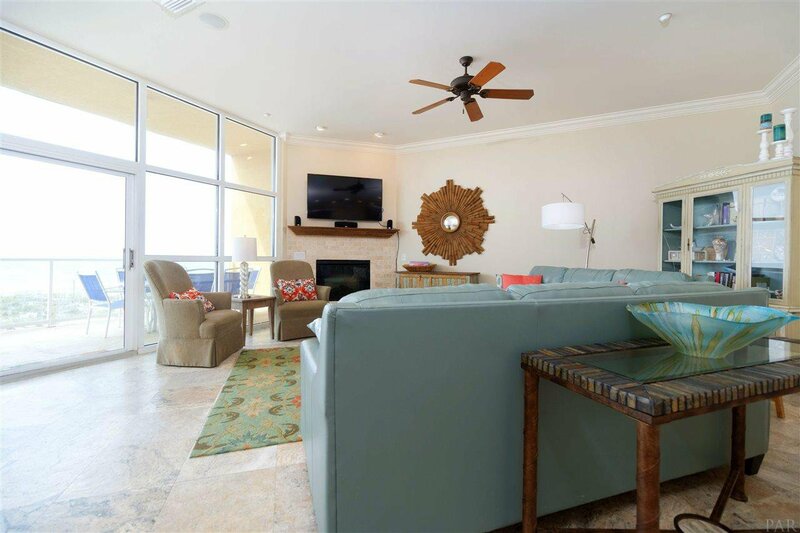 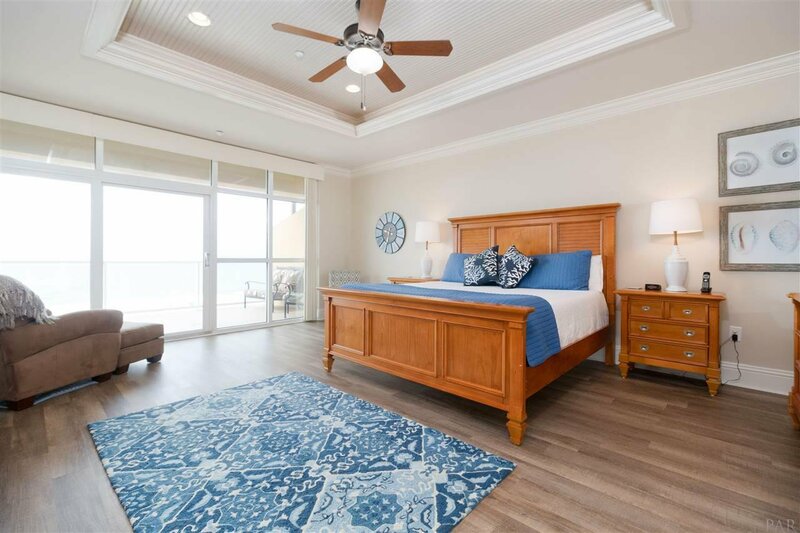 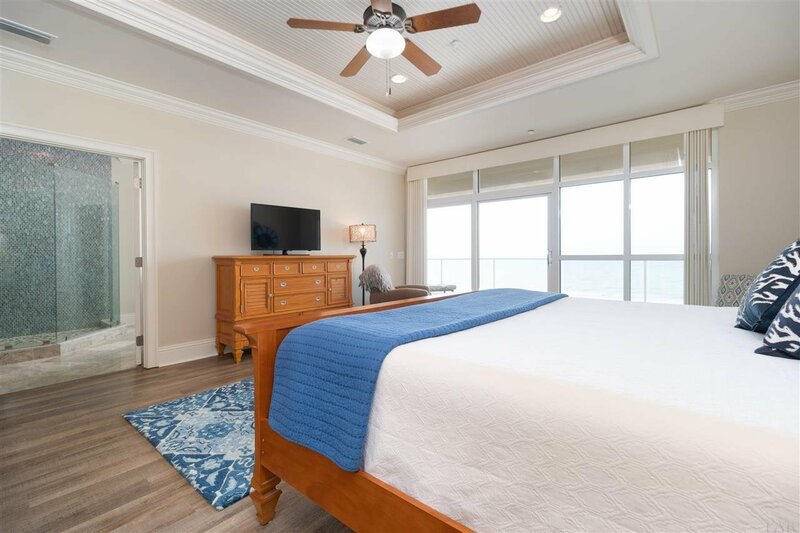 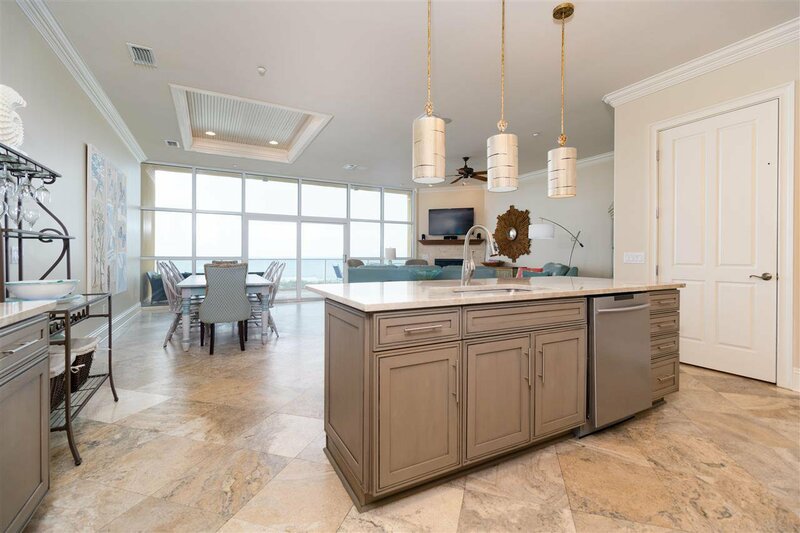 The floor to ceiling glass doors lead to a private balcony with breath taking Gulf front views. 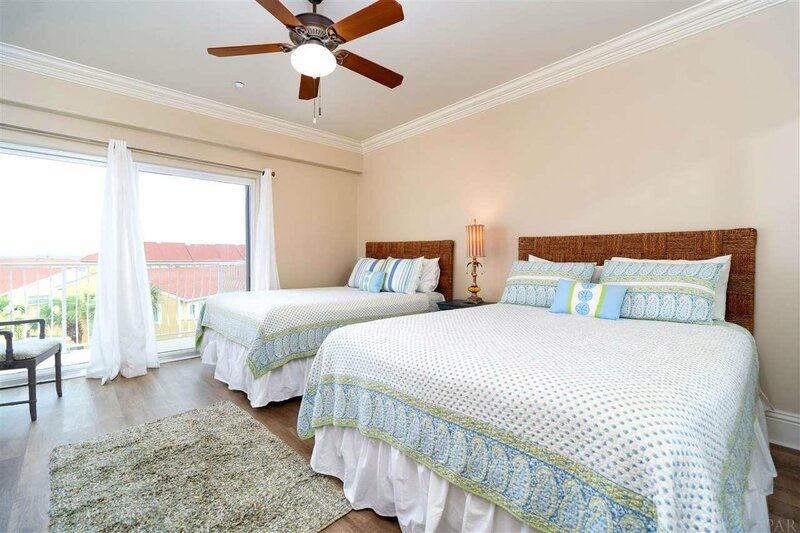 Luxury plank floors in the bedroom, trey ceiling, well appointed furnishings, the master bedroom is it's own oasis. 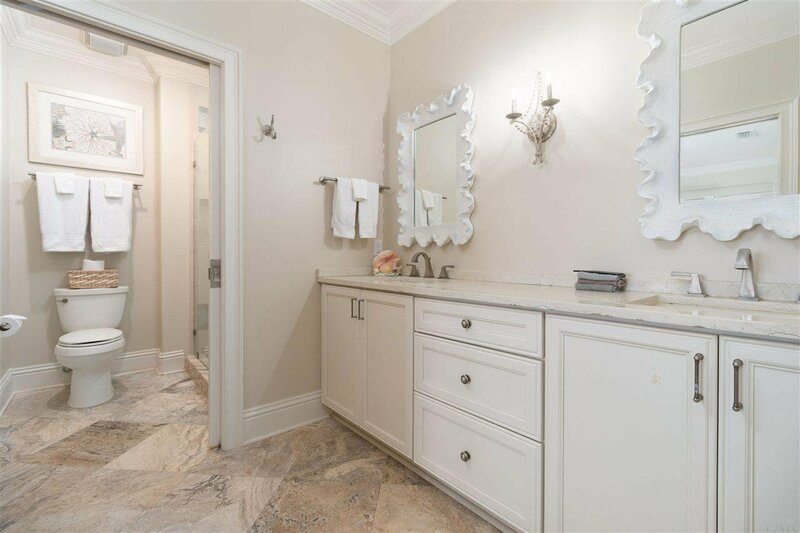 The master bath has a spectacular walk in glass tiled shower, a Kohler jacuzzi tub, double vanities, travertine floors, and the door leading to a huge walk in closet. 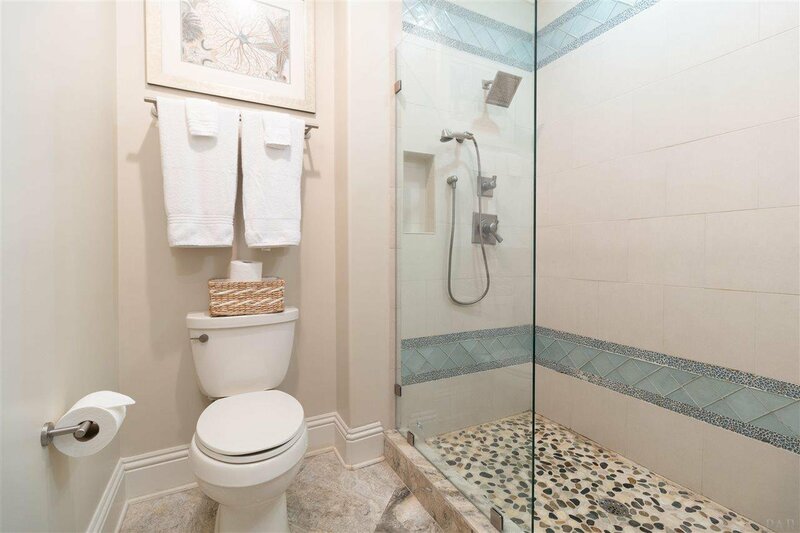 Two additional bedrooms and a bath round out the upstairs. 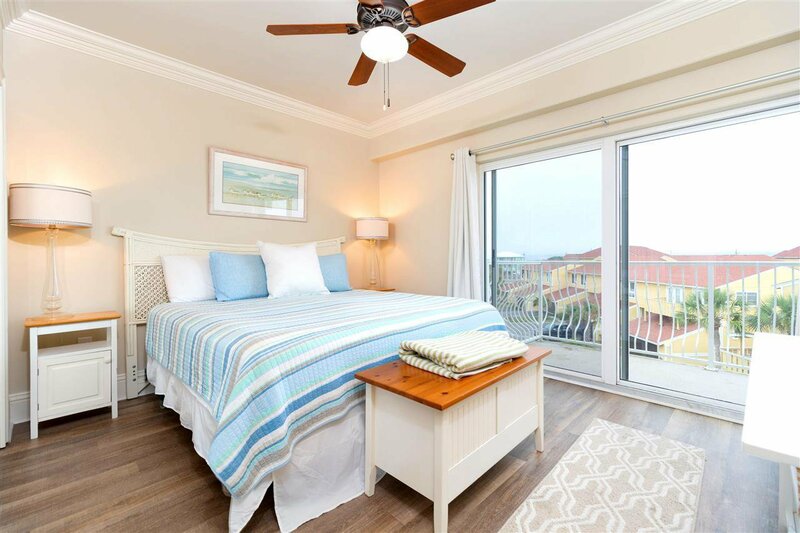 Both bedrooms are gorgeous with sliding glass doors leading to balconies with Soundviews. 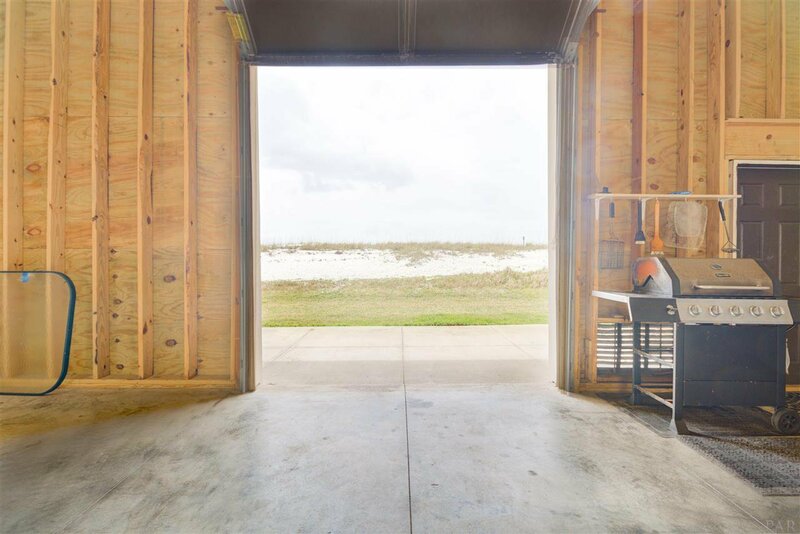 Back to ground level, the garage is big enough for an RV,has a full size garage door facing the Gulf side as well as the entrance from the street. 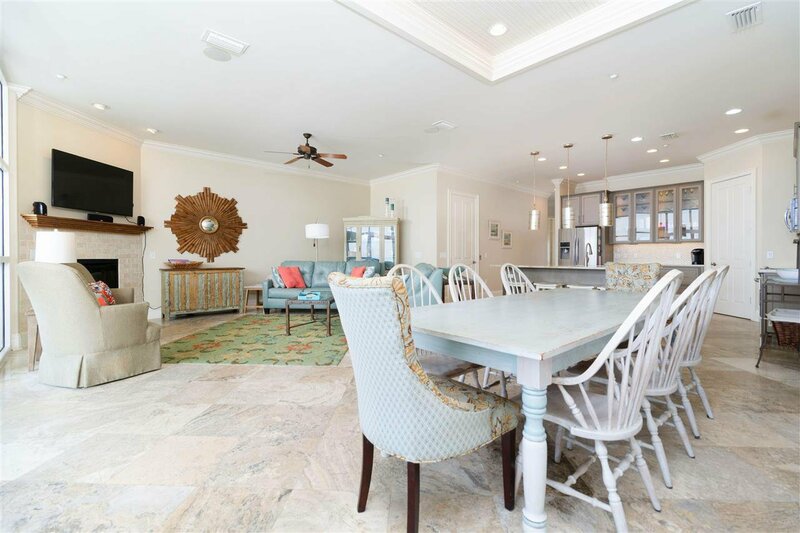 This home is made for entertaining. 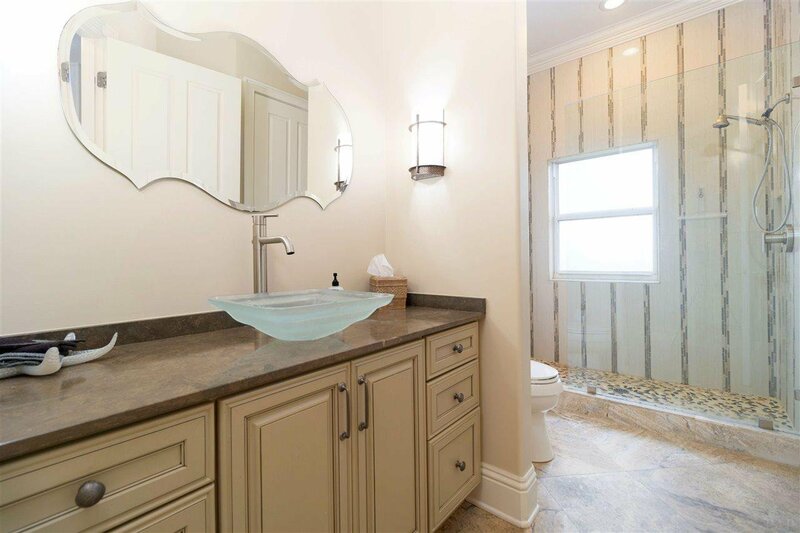 Make it your primary home or use it as an investment. 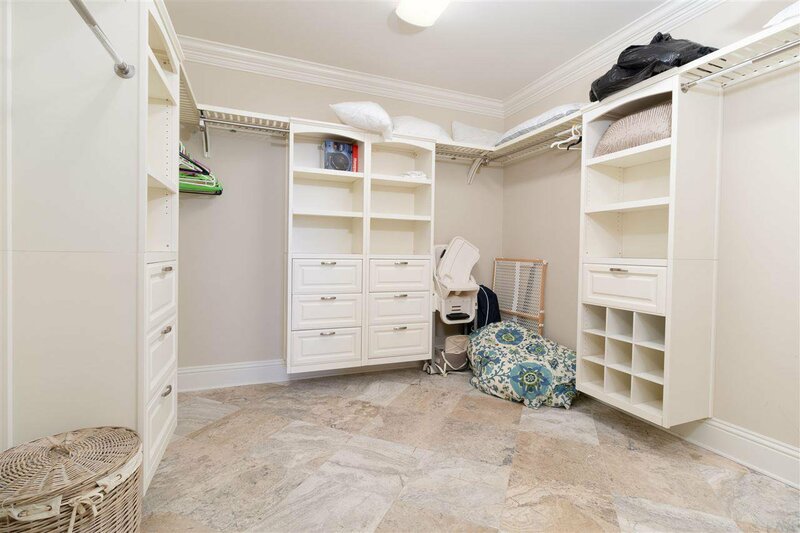 Rental history tops 100,000 gross a year.